Here I am going really back in my memories. This is the computer I started with. It is an HP-97 programming calculator. It was 1976. I was 10. And I was fascinated by this incredible machine. It was programmable, and it had an amazing 224 bytes of program memory to play with. 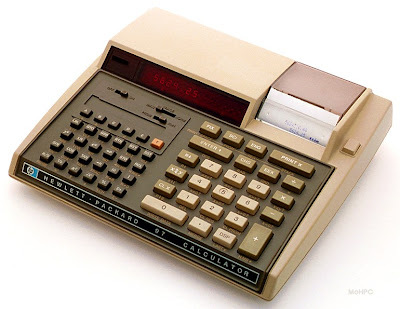 Memory was not permanent, and it was lost every time you powered off the calculator. But it had a magnetic stripe mass memory. We were using small two-sided magnetic cards, each side was able to record 112 bytes. So passing the two sides of the card in the reader was allowing a complete save or load of the program memory.